What's in decorative paint? 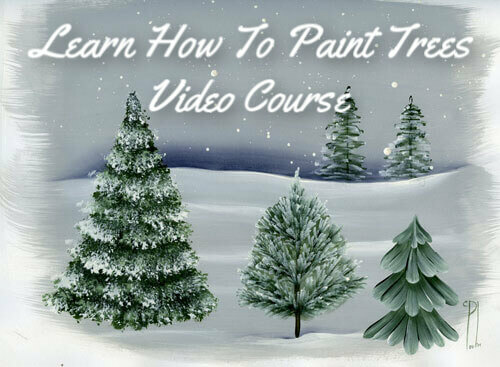 Learn what’s in the paints you use. What's the difference between all these types of paint? Ever wonder what’s in decorative paint? By learning some basics you can decide which is right for your projects. Some painters swear by oils but we use acrylics almost exclusively. We spent a bit of time doing some research on decorative paints. We have been asked so many times about what’s in the products we use...we thought you’d be interested too! For instance, what’s the difference between gouache and acrylic? Some folks just need to know the ins and outs of everything. Thank goodness we’re like that too. One thing for sure, we’d love to be on the committee that gets to name the colors on all those little jars and tubes, wouldn’t you? What a great job that would be! 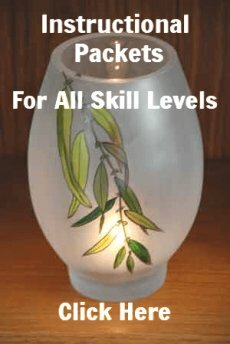 And for those of you who want to do glass painting or learn all about various brands of glass paint just use either of these links to get a ton of information. We've compiled some information and kept it as non-scientific as possible. The most basic components of paint are called pigments and vehicles. When an organic or inorganic solid is ground up and put into a liquid it makes paint. The liquid is the vehicle that carries the pigments. Solvents, thinners, resins, binders and driers make up the rest of the formula. This stuff also determines the drying time and durability. Pigments float around in the vehicle but they don’t dissolve. That’s why it’s so important to mix paint thoroughly. If it has “separated” in the bottle or tubes, it just means that the pigment has settled. There’s nothing wrong with it. Just shake the heck out of it to mix it up. Some pigments are more opaque than others. This simply means the paint is less transparent than others. They also vary in their permanence and how much they cost. The better the pigment means the better its permanence and by the way, if the pigment is rare or difficult to get it’ll be more expensive. The vehicles act as bonding agents to help the pigment particles stick to each other and ultimately to the surface they’re being applied to. That’s pretty much it for the lesson. We’ve identified the most common decorative paints and here’s what we’ve learned about each one. Acrylic paints have their pigments suspended in an acrylic resin. They’re kind of like latex paints but have a better grade. So what are the advantages of using acrylic paint for decorative and tole painting, you may ask: (1) they dry very fast and (2) clean up is simply soap and water. That’s why we use them almost exclusively! 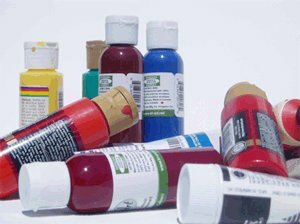 The thinner, which is used for acrylic paint, is usually water. The more water you use the more transparent (thin) the paint becomes. Artists’ watercolors have their pigment mixed with a binder such as gum Arabic; glycerin which acts as a moisturizer; and ox gall as a wetting agent. 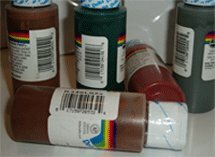 Keep in mind that watercolors in tubes remain water-soluble even after they are completely dry. In other words, you can re-activate the paint with water even when you’re darn sure it’s good and dry! Gouache is similar to watercolor, but it is more opaque (because it has more white pigment in it). Just like watercolor, gouache remains water-soluble even after it has completely dried. You must apply a protective layer over the paint. Otherwise you risk lifting it. Artists’ oil colors are the traditional media for fine arts. 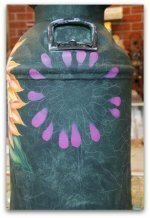 We often use oils in decorative painting for rouging and antiquing techniques. Although some artists use oils exclusively in decorative and tole painting we personally don’t. It’s just that the high oil content of the paint makes it slow drying. Sometimes it can take days before you can move on with your work. Frankly, we’re way too impatient for that! But in all fairness, you really can’t beat the richness and depth of oils. Oils can cause lung irritation in sensitive people. And they are expensive which also affects their popularity in the decorative painting world. 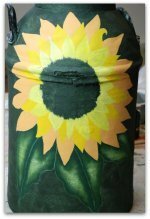 We will discuss other types of decorative paint, such as those used for Fabric and other surfaces. For now, if you have any questions, ideas, tips you'd like to share on this or any other topic, we'd love to hear from you. 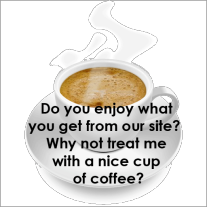 You may contact us here. Let's return to Decorative Painting Supplies.